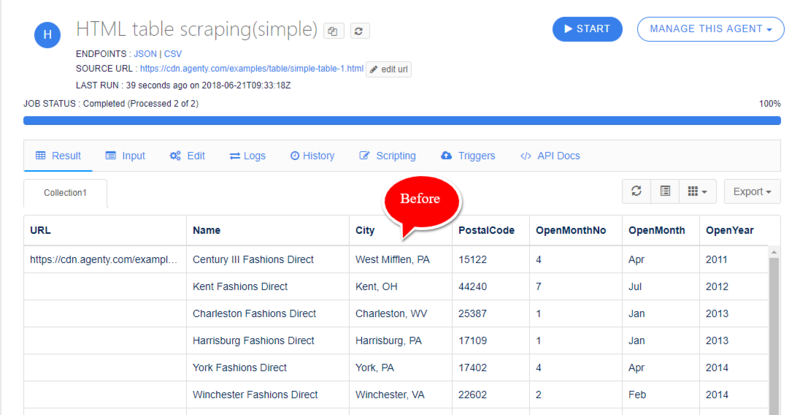 Append Post-processing function can be used in agents to append some text after our extracted field result. 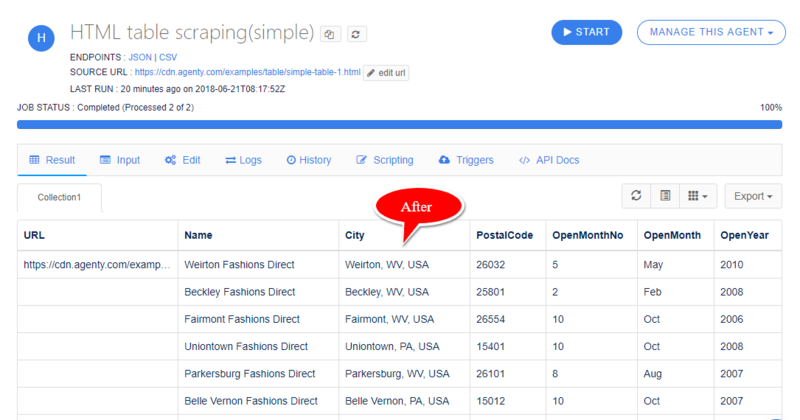 For example, I have this scraping agent "Copy of HTML table scraping (simple)" in my account and I want to add the country code (USA) in the City field in each row. So I can use the built-in Append Post-processing function here. If you notice the City field in screenshot below, the USA is added by the Append function.